Canada turns 150 this year & the celebrations are ramping up. Thiessen Farms is also celebrating! It’s our 70th birthday … maybe? I always thought my father purchased the farm in 1947, but a check at the land registry office seems to indicate it was 1948. But I’m not totally sure. And whether it’s been 69 or 70 years really doesn’t matter. My father bought the farm through the Veterans’ Land Act, a program that helped World War Two servicemen buy farms & get established by offering low-interest loans. There were several farms available in our neighbourhood through the VLA and my father chose this one for its excellent soil and the fact there was no house on it, which made it less expensive. Still single he lived at home with his parents who farmed on the next road over. The farm was an open 15 acres that had been owned by the E.D. Smith Co. who had a nursery on the property growing mostly roses. Dad began his farming career growing tomatoes and working in construction. As money became available he planted fruit trees & built a barn. When he married my mother a few years later, he moved a small 1 room shack (my mother’s words) to the farm for them to live in. 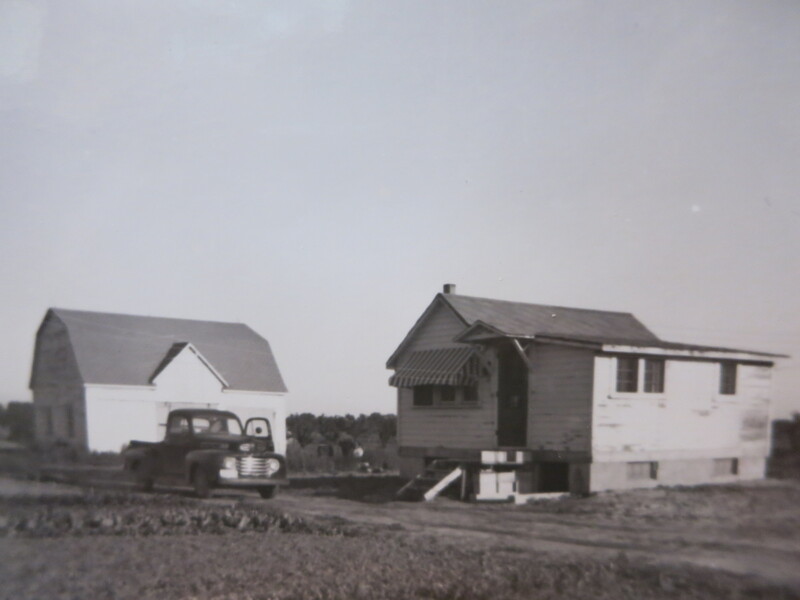 With the arrival of 3 children, a larger house was required and my father built the house that Lorie & I presently live in. The small barn was expanded several times, then eventually torn down and replaced in the 1980’s. After a few years the farm was entirely planted out to fruit trees – peaches mostly, and pears, sweet & sour cherries, plums, and later nectarines & apricots too. 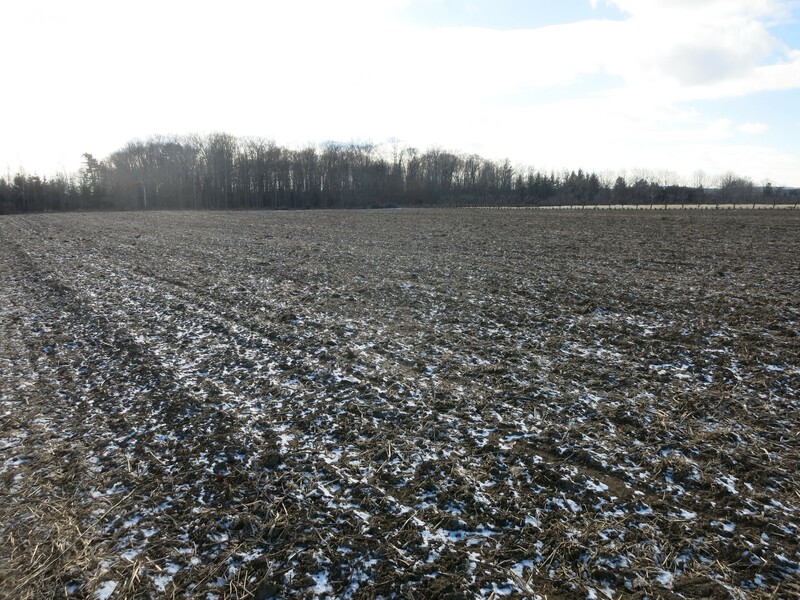 As they were able, my parents bought more land & expanded the farm. I joined them on the farm in 1979, and we grew to 44 acres of orchards. Our fruit was sold to the local co-op, processing facilities and to several fruit stand owners & marketers in the Hamilton area. Lorie & I purchased the farm from my parents in 1988 and we started selling at farmers’ markets mostly in the Toronto area. We enjoyed meeting the people who were eating our fruit & the increased profit that retailing our fruit provided. The more markets we attended, the less fruit we wholesaled & the less acreage we needed to make a living. After 1 crazy year when we did 6 markets a week, we settled into a more reasonable routine of 4 markets a week for a number of years. 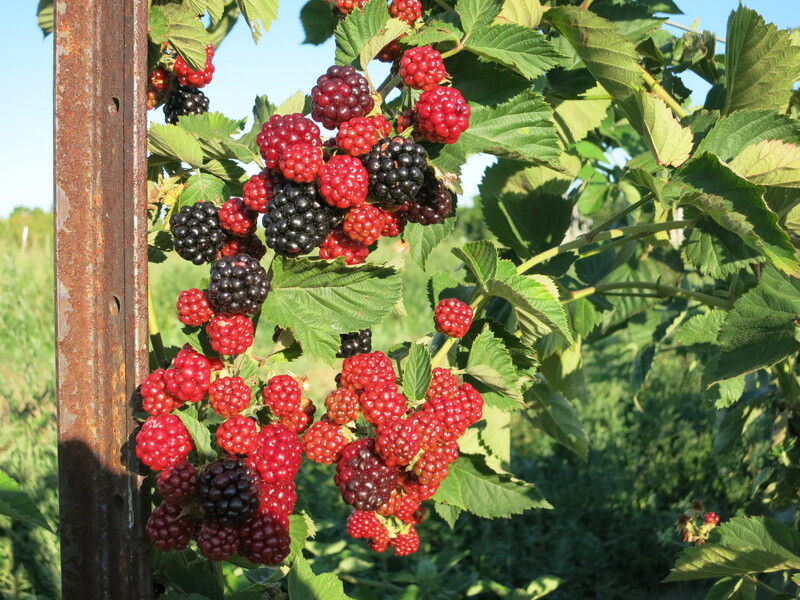 To offer more selection & lengthen the marketing season we grew vegetables, raspberries & blackberries along with the tree fruit. Eight years ago we decided to start a CSA – community supported agriculture program. 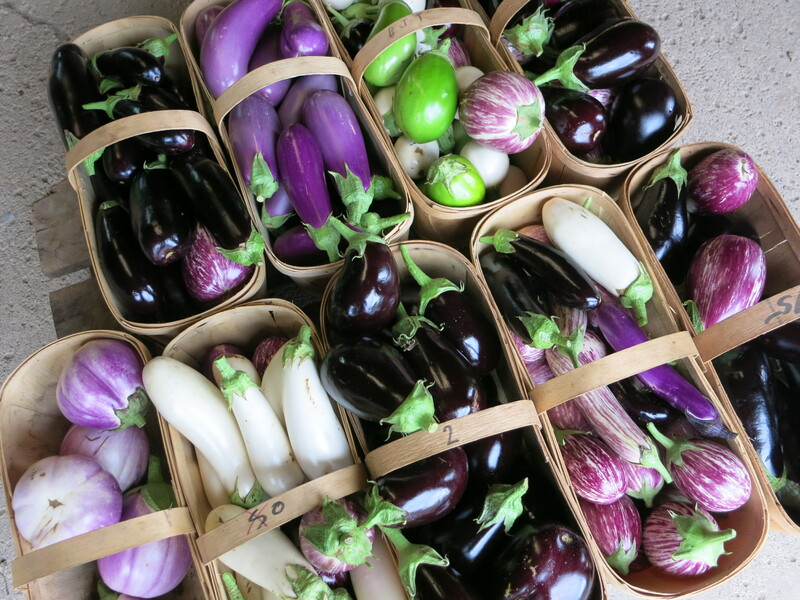 Customers purchased a share of our crop before the season began and then came to the farm every week throughout the summer to claim their box of freshly harvested produce. 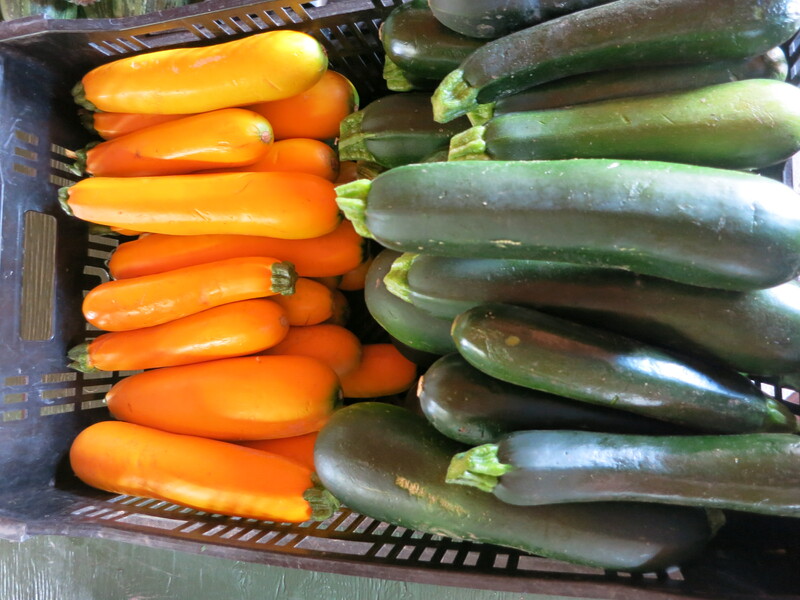 This meant growing yet more vegetables to give our members enough of a selection to satisfy their needs & wants. 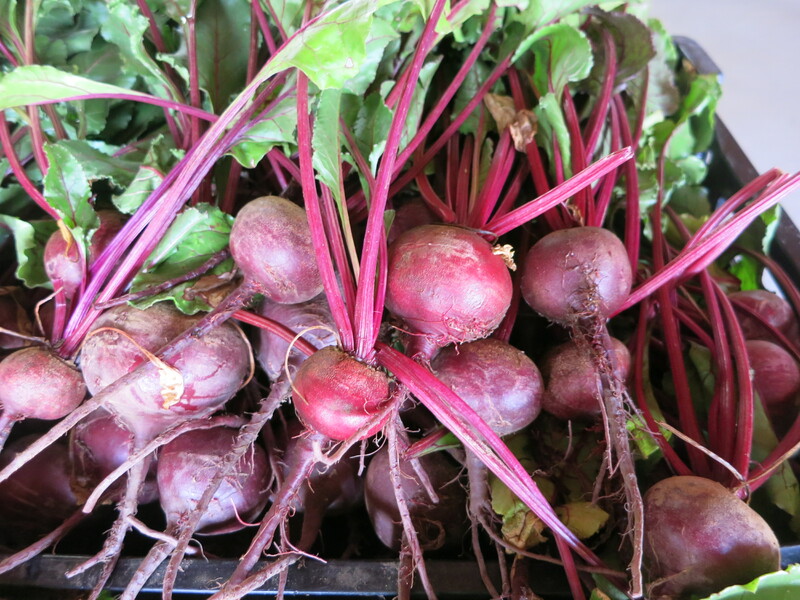 Having both vegetables & fruit made our CSA attractive & our numbers grew each season. We were able to drop 1 farmers’ market and then another and spend more time on the farm. Our daughter Amy joined us a few years ago, becoming the 3rd generation to farm on this land and bringing her own energy, ideas & goals to the operation. The next big change – a huge change – came in the fall of 2015 when we removed all our fruit trees and became a vegetable only farm. We dropped our acreage back down to 15 acres. In essence we have returned to where my father started 70 years ago – 15 acres of open ground. After a lifetime of growing trees, I love the impermanence of vegetables. Each season is a blank slate, a chance to begin again, an opportunity to do better. This season we will again be vendors at 2 farmers’ markets – North York in Toronto and downtown Georgetown, just west of the city. 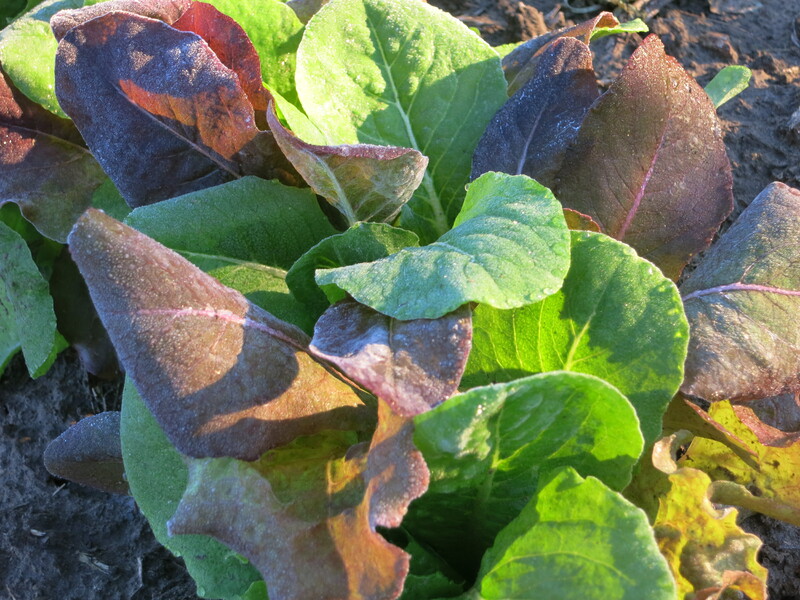 Two days a week our CSA members will be stopping by the farm to pick up their weekly share of produce. Many take the time to check on the chickens and play with the cats. 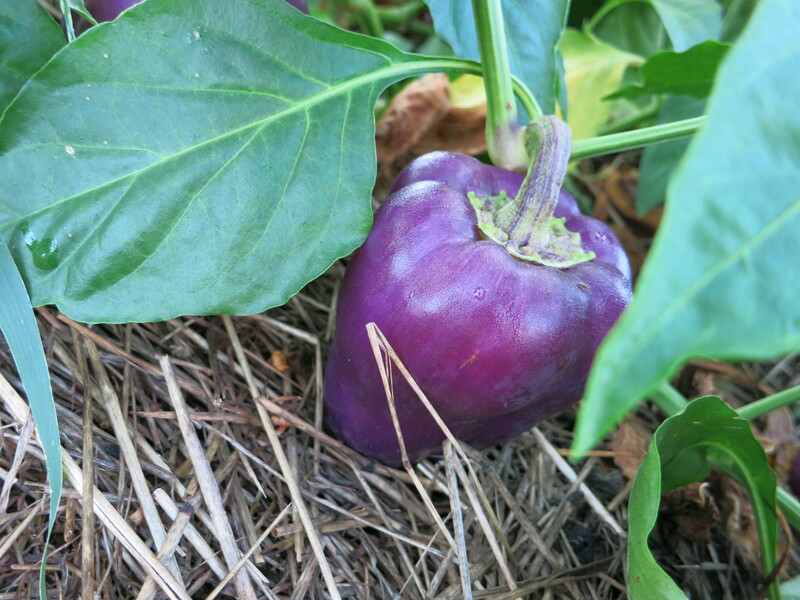 We love knowing where our vegetables are going and who is eating them. 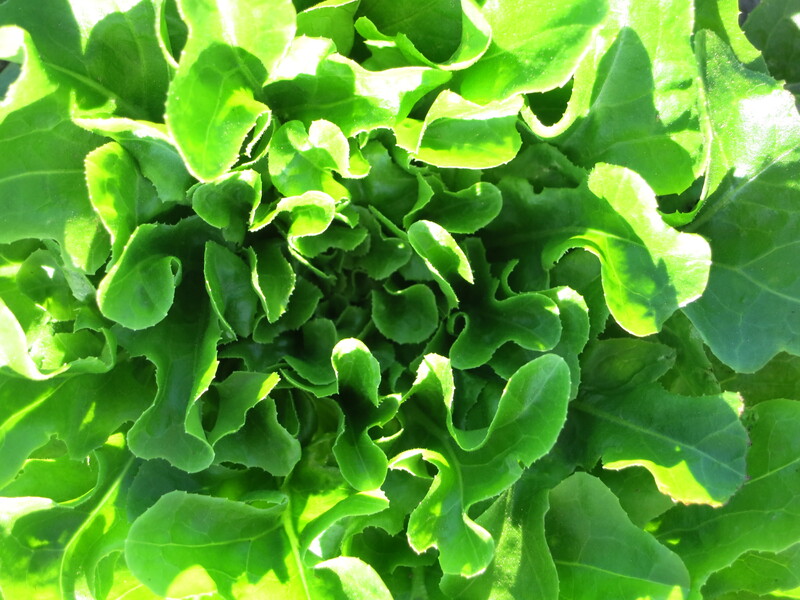 Immediate response – whether positive or negative – to our produce helps us to change & improve. 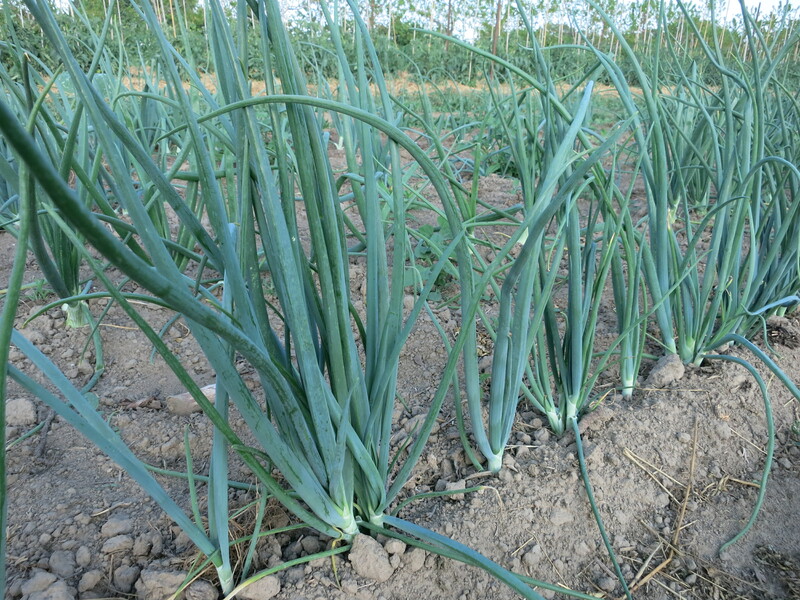 Growing a wide variety of vegetables not only keeps things interesting, but spreads the risk. If something succumbs to disease, insects or weather, it’s not tragic. Another planting or another crop will likely succeed and the season continues. Thiessen Farms has been around for 70 (or at least 69 years). 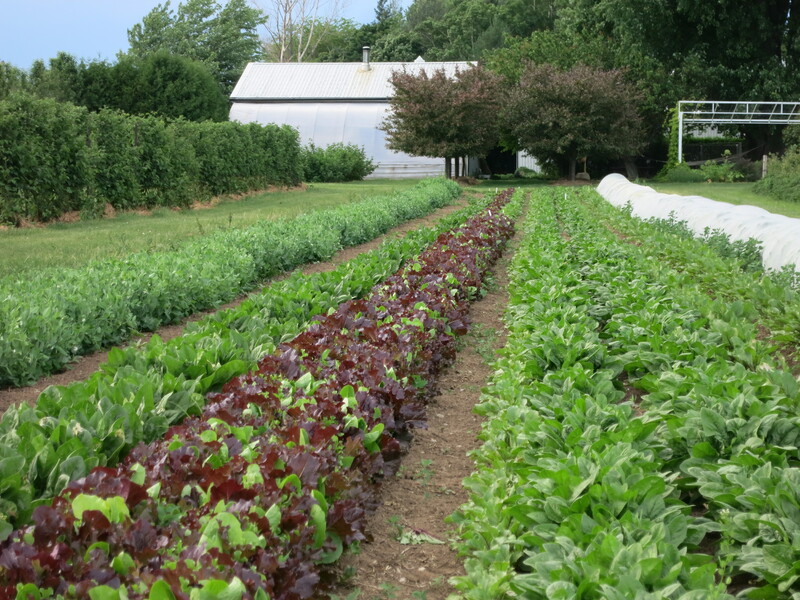 Our intention is to be around & growing tasty, healthy, quality vegetables, herbs & berries for a long while. If we celebrate with a party – we’ll let you know! 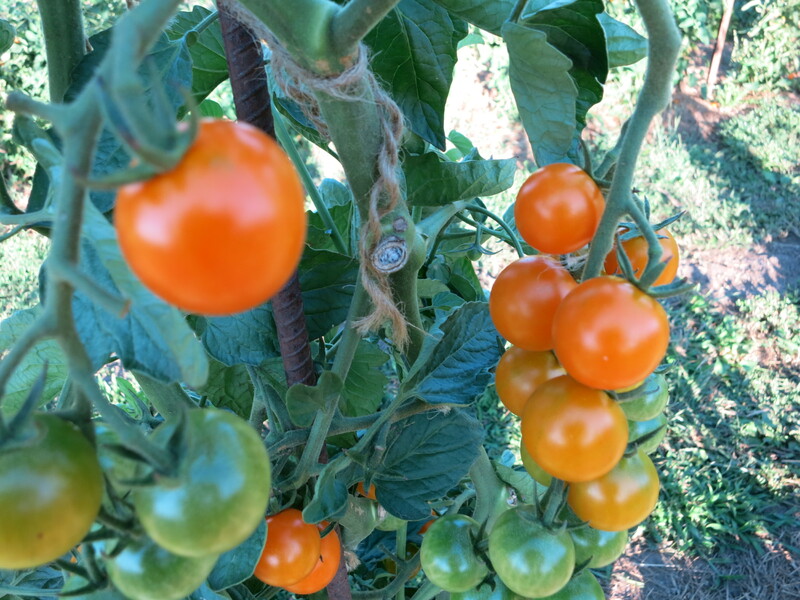 When we saw this new tomato in a seed catalogue it immediately became a must grow variety for Thiessen Farms in 2017. It looks & sounds amazing! I’ll admit it. We’re suckers for a cool sounding name & a fancy description. 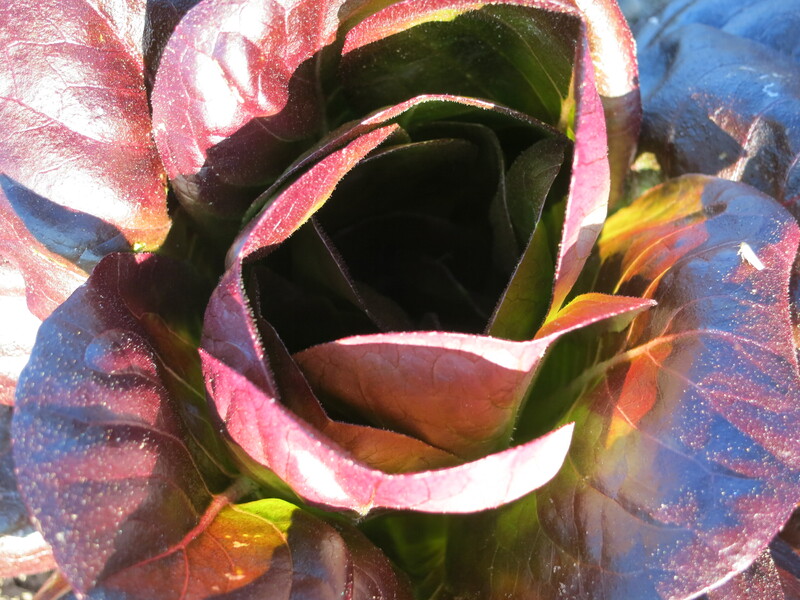 That’s why our seed list has grown to more than 450 varieties of 60+ different vegetables & herbs. But it’s really a cheap thrill. For a few bucks we get to try something new. Sometimes it will turn out great & become a favourite. Other times it’s a disappointment & we never grow it again. But it’s always fun experimenting! We know what we grew in previous years. We keep a master list – a spreadsheet that names each crop & variety we grew last season, the amount of seed we have on hand, the year purchased, the company it came from, and the number of days from seeding until harvest. This gives us someplace to start. When the seeds are ordered, all this data is updated & any new varieties are added and those we will not be growing are eliminated. We keep good records – an awful lot of records. We have a chart where we record every seed we sow in the greenhouse – the date we seeded, the amount, the date the first seeds poked up through the soil, the date we transplanted them & how many, and a spot for random comments. We have more charts where we record everything that gets planted out in the fields – whether it is direct seeded or transplanted from the greenhouse, the variety, the amount, the date. Throughout the growing season we make written notes – both quick observations that we jotted down on the run and more formal evaluations of the different vegetables and how they grew, and produced, their yields, taste, plant health … Photographs are also very helpful for this & so easy to take with cellphones. We find these records invaluable & refer back to them often. We look to our customers for information – what crops sold well & which ones did not, what caught the customers attention, what vegetables are they asking for … We have more charts. For each day at the farmers’ market we record what we brought, how much we sold, the prices & the weather for the day. There are similar charts for each CSA pick-up. 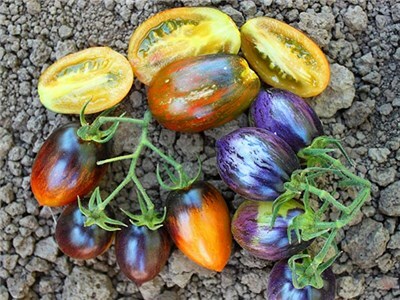 These give us a clear picture of what to grow & how much based on actual sales. What would be fun & interesting to grow! We always try to grow something new that we have not done before. 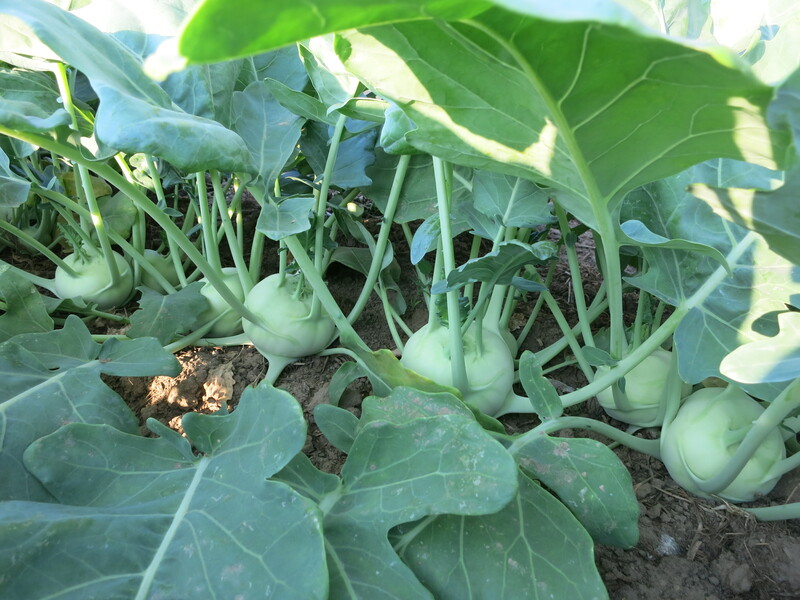 Recent examples include kalettes (https://thiessenfarms.com/2016/12/12/kalettes-anyone/), caulifower (https://thiessenfarms.com/2016/01/24/cauliflower-is-big-news/), artichokes & fava beans. The seeds are arriving almost daily now, close to 500 packets of seeds – different sized envelopes, some paper, some foil, even a cloth bag or two, and at least one larger 25 pound sack (snow peas). Add in any leftover seeds from other years, various jars of seed that I saved myself, and we end up with well over 600 different containers of seeds. That’s a lot of seed to deal with & to keep organized! Proper storage is necessary to keep the seeds viable – cool & dry being the most important conditions. We keep the seeds in our workshop in small, plastic shoe boxes. A label on the lid notes what seeds are inside. These plastic boxes are then stored in larger plastic bins all with secure lids. This keeps them dry, clean & safe from curious animals (ie cats, or even mice – in case the cats are not doing their job!). And there the seeds wait until it’s time to plant them. The fields are waiting too.